Russian author Leo Tolstoy wasn't quite accurate when he famously wrote, "Happy families are all alike; every unhappy family is unhappy in its own way." 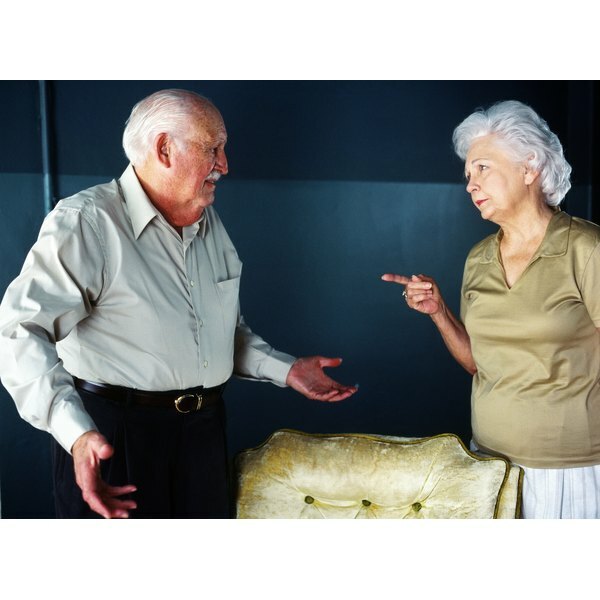 Certain patterns of communication are seen repetitively in dysfunctional families, leading to chronic problems within the family, note Sheryl A. Benton and Dorinda J. Lambert with the counseling department at Kansas State University. If you recognize negative communication patterns in your own home, family counseling may help your family learn to function normally. Some families argue whenever there is a difference in opinion or beliefs. However, emotional arguments rarely resolve these differences or sway anyone to change her beliefs. A person whose beliefs are strongly attacked is likely to defend them with equal vehemence, increasing negative emotions on both sides. Healthy families can acknowledge and tolerate different points of view. Families who practice “reality shifting” contradict each other about what actually happened, says the University of Illinois at Urbana-Champaign's Counseling Center website. While people naturally have different points of view about different incidents, reality shifters deny objective events. For example, a parent might speak of an unhappy, argumentative Christmas dinner as a "lovely time" and act indignant when a child describes the actual events of the evening. Reality shifting can cause children to doubt their own experiences. Criticism between family members can backfire when it is too harsh or excessive, even when it is meant to be helpful. Parents who criticize their children or each other too much often suffer from unrealistic expectations. Anxiety can also be at the root of excessive criticism. A parent who is anxious about her child's academic success or about her husband's ability to handle money may resort to criticism and demands that the situation change in order to feel better herself. Unfortunately, excessive criticism is more likely to cause tension than positive change. Control rather than patient guidance is an attribute of dysfunctional family communications. Instead of encouraging their children's independence as they mature, controlling parents order them around and make decisions for them even when they are old enough to do so themselves. When children of controlling parents grow up, they may doubt their abilities and even feel disloyal when they act independently.